According to Business Week, the Merchant Cash Advance is a funding strategy originally designed to provide business owners with a lump sum of capital in exchange for a specified percentage of the business’ future credit and debit card sales. However, the term “Merchant Cash Advance” may now refer to a few different types of ahort-term small business loans. Loan approval takes a short time, often within one or two days. The loan is paid back within a short period of time, usually within 24 months or less. Collateral provided for the loan consists of future credit and / or debit card receipts. 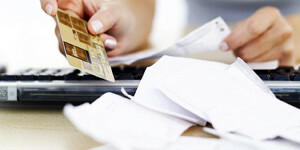 Payments are usually small and may be paid back daily or weekly, depending on the terms. Cash advance lenders express their fees as a factor rate instead of an interest rate. Factor rates can range from 1.14 to 1.48. The capital borrowed from the lender is multiplied by this factor to obtain the total amount the business must pay back to the lender. If the business has a steady credit/debit card revenue stream and the owner is able to pay the advance back in a timely manner, the merchant cash advance may be the best option to provide short-term operating capital for the business. Most lenders require very little paperwork when a business applies for a merchant cash advance. A merchant cash advance can provide immediate cash to a business without the need for a lengthy loan approval process. The only collateral required for this type of factor funding are the future receipts from credit and debit card transactions. Additionally, loans of this type usually do not have a fixed date for paying off the advance. The business simply pays a percentage of the credit and debit card sales to the lender each day or week until the advance is paid off. A business owner can often get approved for a merchant cash advance in one or business days two days. Compare this short approval time to traditional bank loans which may take several weeks for approval. To apply for a merchant cash advance, you must provide proof that you can legitimately expect to take in a certain amount of revenue in credit and debit card sales each day. The lender may also want to check your credit and examine your company ownership documentation. Once the lender is convinced that the business is a good credit risk, you may have your cash in hand the same day or the next. Merchant cash advances are not tightly regulated so lenders are basically free to charge rates and fees that can be quite high. A loan of this type can cost the business owner as much as a 75 to 80 percent APR or more for the total amount financed. Some merchant cash advance lenders offer more competitive rates and fees than others. Perform your due diligence to select the lender that offers this service at competitive rates. Before signing any merchant cash advance contract, be sure that you fully understand the rates and fees that you will be charged, as well as the payment terms of the loan.